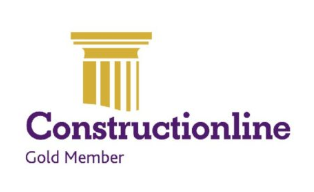 Builder’s Profile is the open-access Common Database service providing compliance and PQQ information to the construction industry. For main contractors and clients it provides all the information, documents and tools required to manage a supply chain no matter how large or small. The National Churches Trust, formerly the Historic Churches Preservation Trust, is a British registered charity whose aim is “promoting and supporting church buildings of historic, architectural and community value across the UK”. It carries out this aim by providing financial grants to repair and modernise church buildings, supporting projects to enable churches to remain open, collaborating with local Churches Trusts and volunteer bodies, providing practical advice, support and information, and working to promote public awareness of the needs of churches. SafeContractor accreditation acts as proof of our organisational capability for Health and Safety. Alcumus SafeContractor’s in-house technical experts audit our health and safety processes to assess competence. ISO/IEC 17025 accreditation is the single most important standard for calibration and testing laboratories around the world. ISO 17025 accredited laboratory’s have demonstrated that they are technically proficient and able to produce precise and accurate test and calibration data. In many cases, suppliers and regulatory authorities will not accept test or calibration results from a lab that is not accredited. AtAC are dedicated to promoting professionalism and safety throughout the asbestos testing and consultancy industry. As the UK’s leading association representing the interests of asbestos surveyors and asbestos analysts, we provide qualifications, guidance, and support for our members.